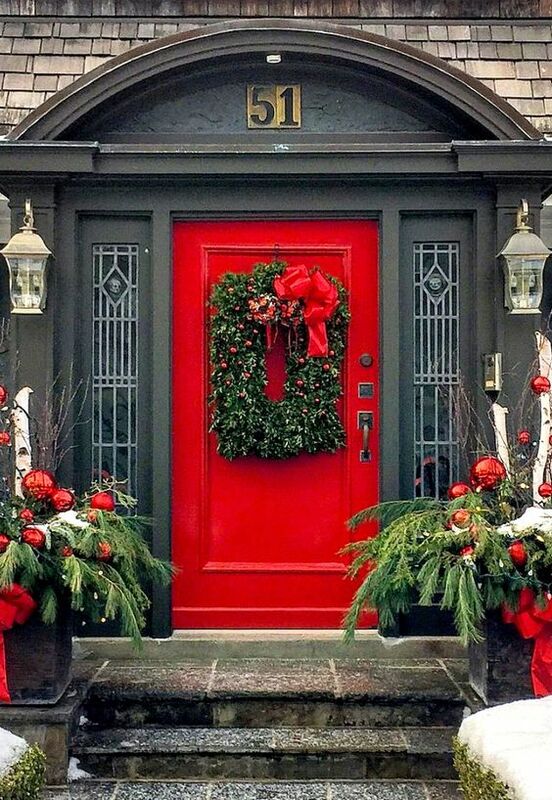 With the holiday season right around the corner, there’s no better way to celebrate the holiday spirit than by creating a beautiful decorations on your front door. There is something delightfully magical about driving down a wintery street filled with beautifully decorated homes. 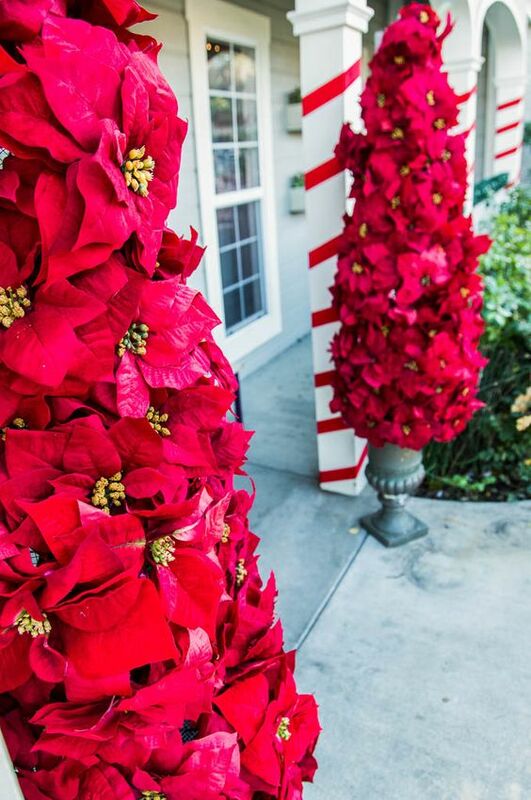 These Christmas front door decor ideas will surely make your family, friends and visitors feel truly welcomed. For door decorations, many of us tend to default to the same old formula : we hang a a pre-decorated wreath and call it a day. 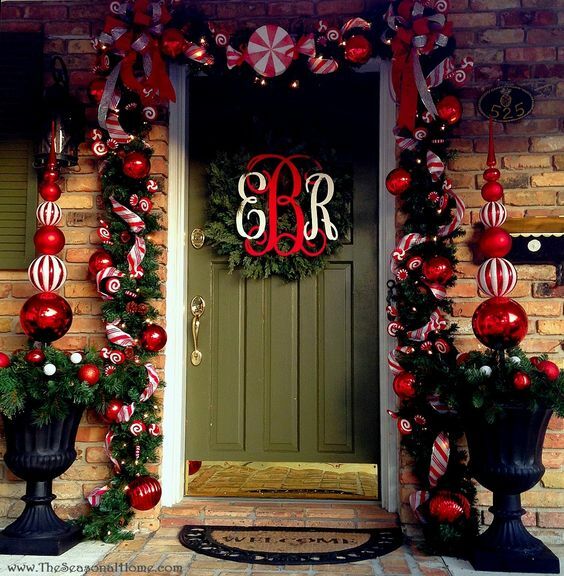 However, there’s a lot more you can do than just hanging a wreath – it involves 3 design areas (1) door (2) above the door (something hanging) (3) floor decorations. This elegant and understated look with burlap and pinecones can be achieved by using fabric with similar color but different textures to wreaths and garlands. To achieve this look, take burlap ribbon with shimmery white satin and pale green ribbons for a multidimensional finish. The addition of the extra large pine-cones and pine branches gives this door design a beautiful finishing touch.